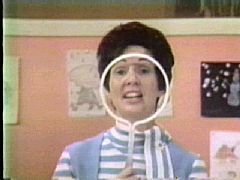 Remember Romper Room on TV when you were a kid? Well, maybe not if you are too young. The show had a lady who would look in a magic mirror, and see everyone watching the show, and call you out by name. Well, today I feel this way about you- my readers. I see you, and I see you are sad. Why are you so sad? Is your Mom or Dad sick or dying? Are your children or grandchildren far away from you, as mine are. Has a friend betrayed you, and you feel deeply hurt? Did you lose someone close to you, and their memory and the emptiness haunt you? Perhaps you are simply lonely, and feel abandoned. Are any of these sadness’s greater than the other? For each of us, I would guess our sadness seems the most powerful and relevant. But the Buddha taught that it is in this comparing, that we cause our self more suffering. What if you could see that we all suffer, with no comparison? And that there truly is a way from this suffering. But when you feel this pain, we all tend to attach to it. It is our pain, and no one else can feel what we feel or completely understand. But you are wrong. We all feel this pain, and I feel this pain. I feel your pain right now. And in this moment, I am sending you my loving kindness and deepest compassion. Because in this moment, we can also choose to see the beauty and harmony. Be aware of this, be mindful. Joy and happiness are all around you. It is all around me, and I am so grateful for this. I am grateful to share your suffering and I am grateful to share your joy. Please know that we are in this existence together. You are not alone. Simply opening your view and awareness, you can see the abundant love and beauty that surrounds you. You only need open your eyes and see. This is my prayer for you. May you see this today and every day. And may you always be well, happy and peaceful. “The times when you are suffering can be those when you are open, and where you are extremely vulnerable can be where your greatest strength really lies. My heart hurts again The laws of compassion We’re throwing a party for you!